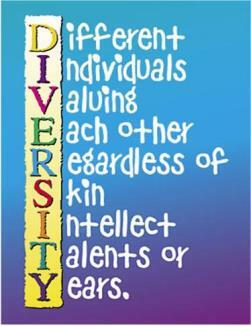 Information and library resources on diversity or multiculturalism in education; and explores educational challenges and opportunities for different ethnic groups, females, LGBT, or individuals with special needs. 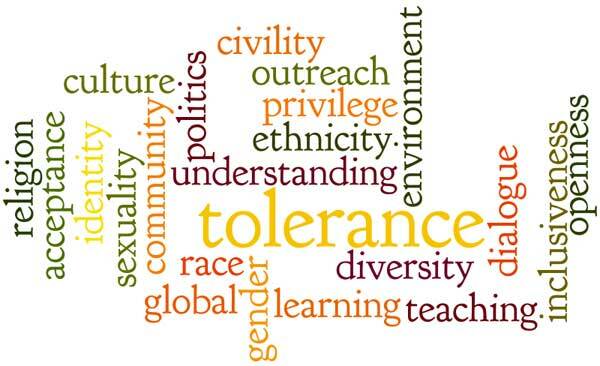 "Cultural competence refers to the process by which individuals and systems respond respectfully and effectively to people of all cultures, languages, classes, races, ethnic backgrounds, religions, and other diversity factors in a manner that recognizes, affirms, and values the worth of individuals, families, and communities and protects and preserves the dignity of each." --Indicators for Cultural Competence in Social Work Practice. National Association of Social Workers. 2007 p. 12-13. Cultural competency is "the capacity to function effectively in cultural settings other than one's own. This will usually involve a recognition of the diversity both between and within cultures, a capacity for cultural self-assessment, and a willingness to adapt personal behaviors and practices." --APA Dictionary of Psychology. American Psychological Association. REF BF31 .A63 2007 p. 249. Cultural competency goes beyond diversity, enabling us to communicate our appreciation and respect for our differences in order to teach, assist, care for, and work with one another. Adapted, with permission, from the Diversity Information Plus Guide by Teresa Ashley, Faculty Librarian, Austin Community College, Austin, TX. As a nation we have come a long way in terms of inclusiveness—in 2008 we elected our first African American president—but our work is far from done. It’s important that as a country we continue to expand opportunities for all to ensure that we are giving everyone a fair shot. Here are 10 reasons why diversity on college campuses is crucial for all students. Our nation is changing, and our higher education institutions need to reflect this diversity. While communities of color have made great strides in closing the education gap, disparities in higher education remain prevalent. It’s in our national interest to invest in our future workforce. Diversity in the workforce fosters innovation and competitiveness in business. Fortune 500 companies agree that diversity is good for the bottom line. Diversity is a national security issue. Diversity on campus benefits all students. The implications of race-neutral policies in educational opportunities are detrimental to the next generation. Research show that race-neutral polices simply don’t work. The majority of Americans support race-conscious policies in higher education. Read the complete article by Sophia Kerby at the Center for American Progress website. The Diversity Certificate program seeks to teach workplace success by providing the multi-cultural knowledge and skills necessary to navigate among a diverse workforce. At the heart of this post-baccalaureate program is the demand that students learn and think critically about race, race relations, ethnicity, social class and inequality, religion, and gender. This requirement will produce employees who have the necessary sensitivity and understanding to accept important leadership challenges and to advance themselves and their workplace.